This is a quick way to make some cute coasters that make great gifts. I got this idea from my friend Kaitlyn. 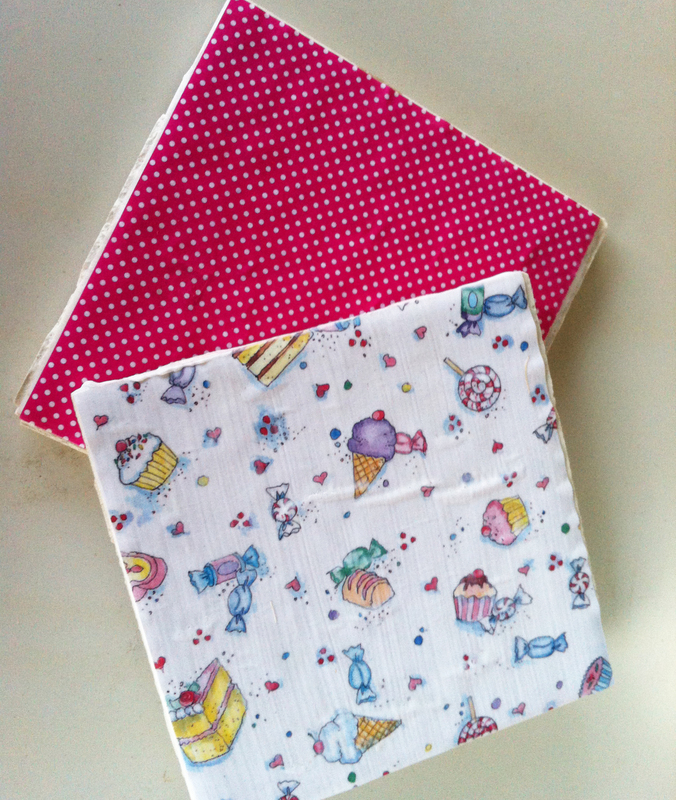 Cut your pieces of scrapbook paper to the size of your tiles. 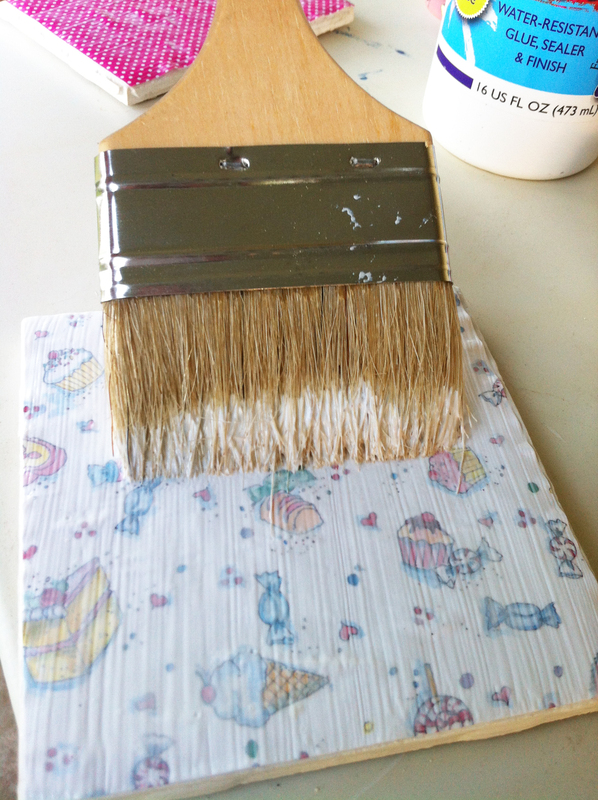 Brush on a coat of Collage Pauge. Place your cut piece of paper onto the glued tile. 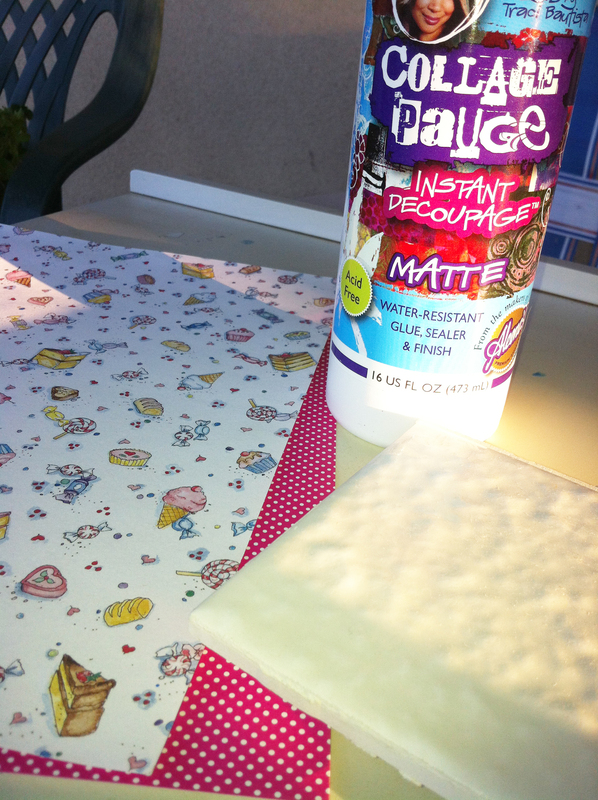 Add a coat of Collage Pauge over the paper. Make sure to get all sides of the paper glued down. Let dry. 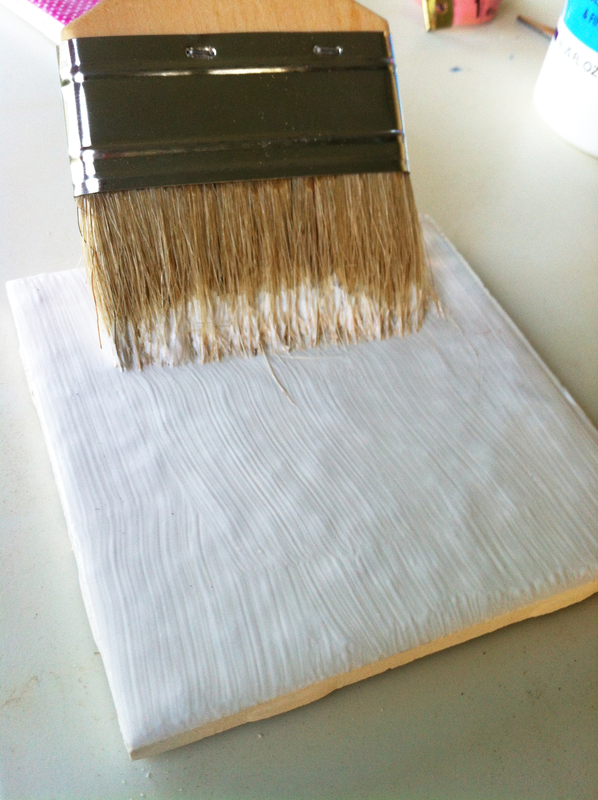 I like the texture effect the glue leaves when using a thick bristle brush.